My daughter loves the combination of spinach and ricotta. So when I buy a box of baby spinach from my local greengrocer she gets excited as she knows I will be making her favourite snack food. 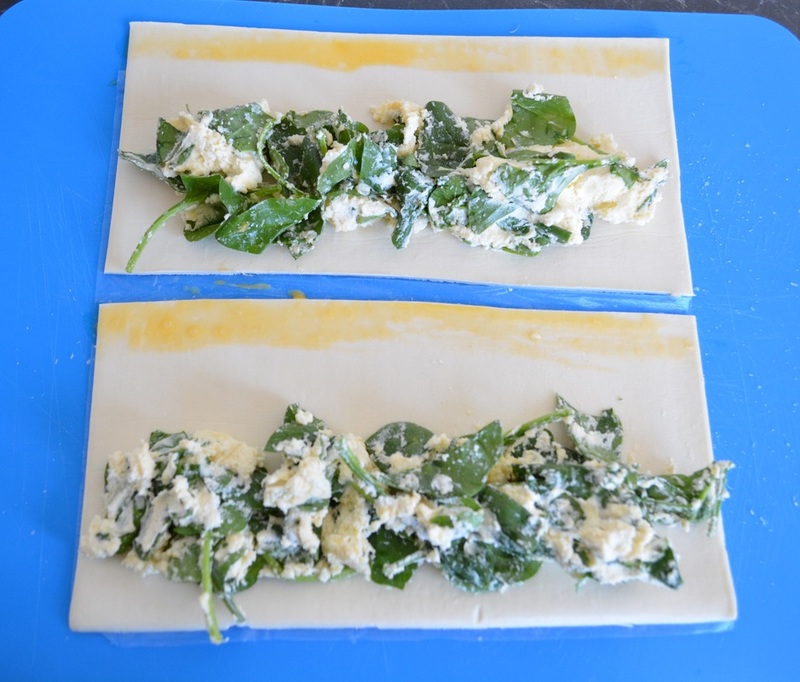 These spinach and ricotta rolls are so easy to make. I have previously made many different shapes and sizes of these types of pastries, with slightly different fillings, but these are indeed the easiest. Here you don't need to cook the filling, just mix it all together and put it on the pastry, then roll and bake. And what I love about these is the amount of filling you get. With triangle shapes you can't overfill or they explode, here you can fill it up so you get more filling in, therefore, more flavour. 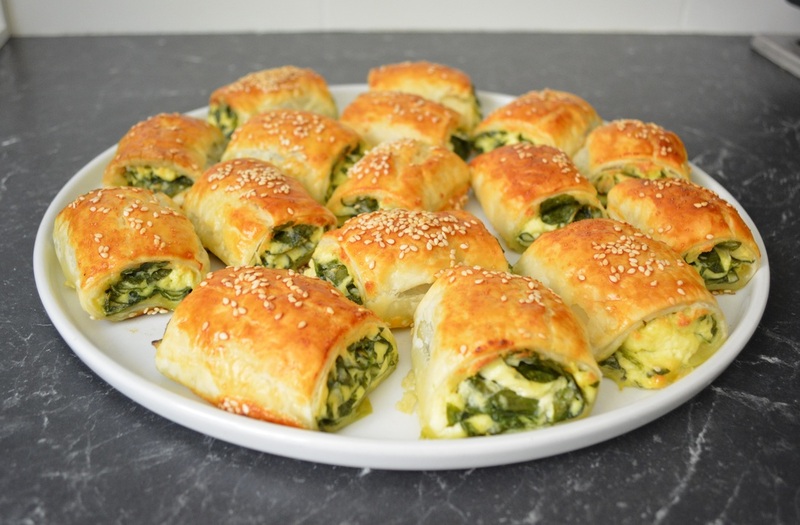 These would be great next to sausage rolls at a party as a vegetarian alternative, they are so delicious, your guests will love them. I doubled the batch and baked some straight away and froze the rest to bake another day, so they are great as you can prepare them ahead of time. If you do freeze them, bake them frozen, but bake them a little longer, 5-10 minutes, when the pastry is ready so is the filling. Give these a go, we loved them, I'm sure you will to. Place the ricotta, parmesan, baby spinach leaves, egg, nutmeg (if using)and salt and pepper in a large bowl. Mix until well combined. Break the extra egg into a small bowl and whisk to break it up. Place the pastry sheets on a flat work surface. Allow to thaw slightly, then cut each sheet in half. Now continue to allow to thaw to a rolling consistency, you don't want it overly soft, just soft enough to roll without cracking the pastry. 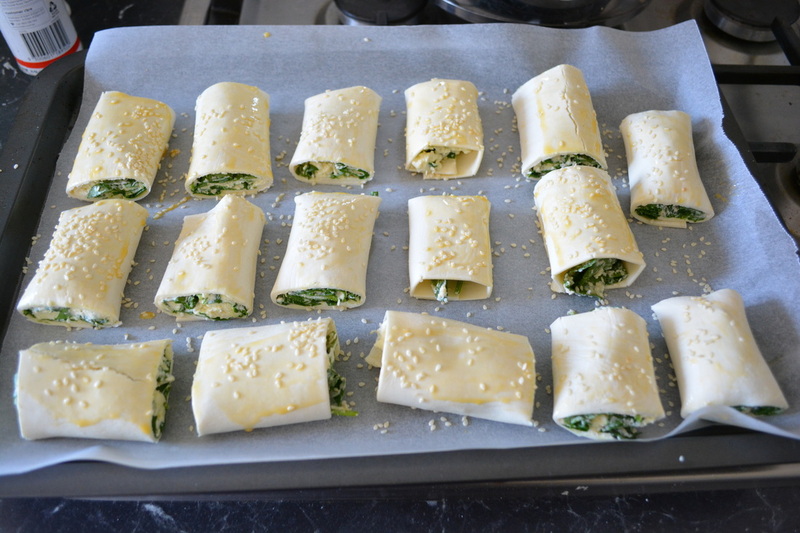 Place a 3cm wide amount of the ricotta filling on one long edge. Using a pastry brush, brush the other long edge with the beaten egg. Now using both hands, start rolling the pastry over the ricotta mix, use your fingertips to spread the ricotta mix into a tight roll, then roll until the pastry meets with the egg strip. Press down gently, leaving the seam at the bottom of the roll. Slice each roll into 4 equal pieces, brush each piece with a little more beaten egg and sprinkle on some sesame seeds, if using. Repeat with remaining pastry. 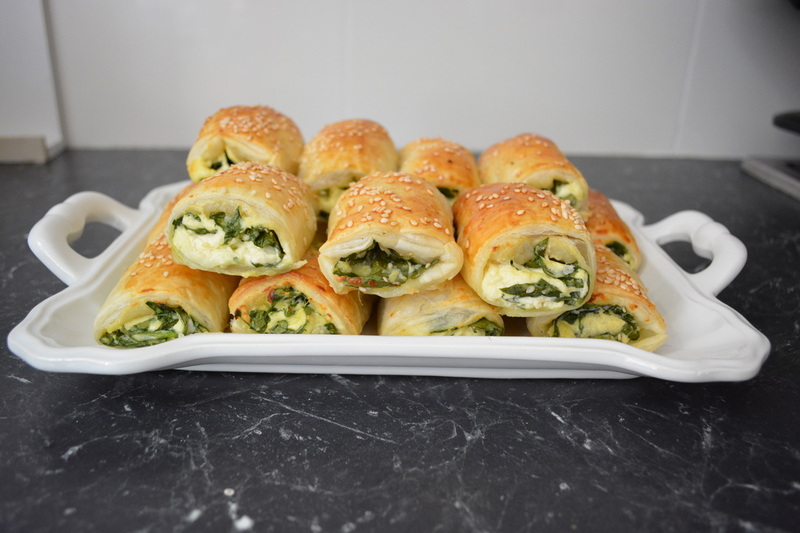 Place the spinach and ricotta rolls seam side down on your prepared baking tray and bake for 25 minutes or until the pastry is golden and crispy.